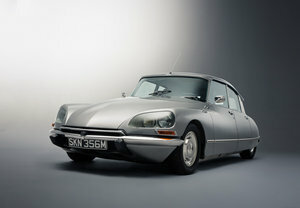 Left-hand-drive, matching numbers, four speed semi-automatic Citroen DS 19A Confort. First registered in Paris on the 9th September 1967. 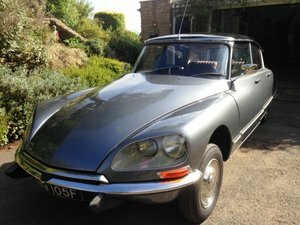 Imported in February 2015 and sympathetically restored in 2017, the '67 model - combining the original front-end styling with the improved 'green' hydraulic system (LHM) - is arguably the most sought-after DS. Superb bodywork finished in metallic grey (Gris Palladium 108b) with contrasting black roof, stainless steel repolished trim and powder coated rims with Michelin XAS tyres. The interior has been reupholstered in its original fabric colour 'Or' and includes the model year specific passenger headrest, front and rear armrests as well as the larger and later model removable headrests. DS specialist Lionel Reveillon restored the dashboard to its original finish and the Continental Edison radio restored by Agenta Audio now includes an mp3 connection. 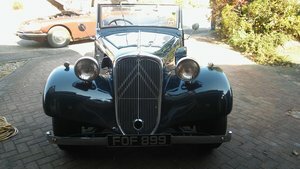 All mechanical work and maintenance carried out by DS specialists in Kent during my ownership with all invoices on file, including the car’s heritage certificate from the Conservatoire. Featured in various promotional events on behalf of Citroen UK (DS Automobiles) including last year’s Warren Concours of Elegance and BBC's Countryfile Live. Further details and photos on request.